For most stores, it is recommended to place a link pointing to My Wishlist page. This makes is easier for your customers to locate the Wishlist. The easiest way is to put the link in the navigation menu. 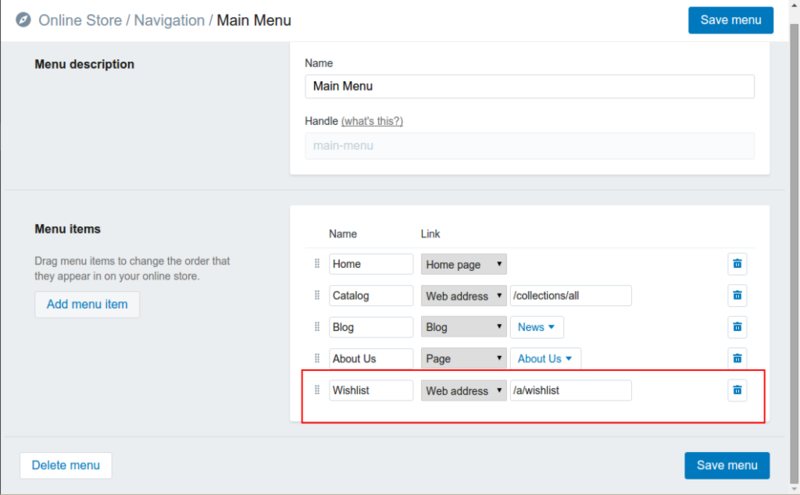 Here we explain the process using default location of My Wishlist page i.e. /a/wishlist. In case you have changed it, substitute the same in below steps.